Self-assembled Metallo-Supramolecular Systems Incorporating &Bgr;-Diketone Motifs as Structural Elements (D.J. Bray et al.). Coordination Polymer Open Frameworks Constructed of Macrocyclic Complexes (Myunghyun Paik Suh, Hoi Ri Moon). Molecular Devices Based on Metallo-cyclam Subunits (L. Fabbrizzi et al.). Molecular Recognition of Neutral and Charged Guests using Metallomacrocyclic Hosts (I.V. Korendovych et al.). Supramolecular Chemistry of Environmentally Relevant Anions (B.A. Moyer et al.). Role of Cation Complexants in the Synthesis of Alkalides and Electrides (J.L. Dye et al.). Structure-Activity Studies and the Design of Synthetic Superoxide Dismutase (SOD) Mimetics as Therapeutics (D.P. Riley, O.F. Schall). Electronic Tuning of the Lability of Inert Co(III) and Pt(II) Complexes (R. van Eldik). This thematic issue devoted to 'Template Effects and Molecular Organization' is based on a special symposium recently organized by the American Chemical Society in Philadelphia. The authors contributed oral presentations and are experts in their fields. Rudi van Eldik was born in Amsterdam (The Netherlands) in 1945 and grew up in Johannesburg (South Africa). He received his chemistry education and DSc degree at the former Potchefstroom University (SA), followed by post-doctoral work at the State University of New York at Buffalo (USA) and the University of Frankfurt (Germany). After completing his Habilitation in Physical Chemistry at the University of Frankfurt in 1982, he was appointed as Professor of Inorganic Chemistry at the Private University of Witten/Herdecke in 1987. In 1994 he became Professor of Inorganic and Analytical Chemistry at the University of Erlangen-Nürnberg, from where he retired in 2010. At present he is Professor of Inorganic Chemistry at the Jagiellonian University in Krakow, Poland, and Visiting Professor of Inorganic Chemistry at the N. Copernicus University in Torun, Poland. His research interests cover the elucidation of inorganic and bioinorganic reaction mechanisms, with special emphasis on the application of high pressure thermodynamic and kinetic techniques. In recent years his research team also focused on the application of low-temperature rapid-scan techniques to identify and study reactive intermediates in catalytic cycles, and on mechanistic studies in ionic liquids. 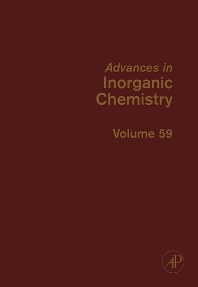 He is Editor of the series Advances in Inorganic Chemistry since 2003. He serves on the Editorial Boards of several chemistry journals. He is the author of over 880 research papers and review articles in international journals and supervised 80 PhD students. He has received honorary doctoral degrees from the former Potchefstroom University, SA (1997), Kragujevac University, Serbia (2006), Jagiellonian University, Krakow, Poland (2010), University of Pretoria, SA (2010), and Ivanovo State University of Chemistry and Technology, Russia (2012). He has developed a promotion activity for chemistry and related experimental sciences in the form of chemistry edutainment presentations during the period 1995-2010. In 2009 he was awarded the Federal Cross of Merit (‘Bundesverdienstkreuz’) by the Federal President of Germany, and the Inorganic Mechanisms Award by the Royal Society of Chemistry (London). His hobbies include music, hiking, jogging, cycling and motor-biking. He is the father of two and grandfather of four children.